Platinum Exteriors & Insulation Products believes that a company's reputation is the most important component of their success. We have a reputation for providing superior craftsmanship and have an unmatched eye for detail when it comes to a homes exteriors. Every single employee is required to act with integrity and conduct business in a consistent, ethical manner. It is these high standards and procedures that create the cornerstone of our company. Whether you have a business, new home, replacement, or repair, we can provide both the product and service you need. We employ only expert tradesmen in the installation of our roofing, ventilation, siding, gutters, chimney flashings, and insulation. We guarantee a quality installation on many types of roofing applications. Plus, you can expect name brand products and the security of a manufacturer’s warranty. Our product specialists can help you with every aspect of selecting the right materials for your roof. Whether it’s providing product samples or choosing the best warranty options, you can count on our knowledge and expertise. 1st Choice Roofing Cincy is dedicated to providing customers with services that incorporate the highest degree of craftsmanship, integrity, quality and value. No other company can provide better results at a better price. Whether it is a large commercial job, a small residential repair, or anything in between, we are unsurpassed in the industry. Gut-R-Dun Exteriors specializes in Exterior Design and Remodeling. Whether your looking for a complete home remodel or a change in roof or siding Gut-R-Dun is your trusted source. Since 2009, Gut-R-Dun Exteriors has served over 400 customers per year without a single complaint with the BBB. Whether your looking to remodel your home over a period of time or all at once, contact Gut-R-Dun Exteriors for a no obligation consultation. 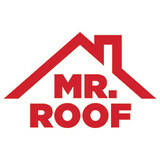 (513) 583-5917 Guaranteed Roofing is a local roofing company in Milford & Maineville Ohio. We are A+ Rated with the Better Business Bureau and Angie’s List of Cincinnati. Installation and Workmanship Warranties. Guaranteed Roofing will continue to provide the upmost impeccable, professional, honest and trustworthiness service to each and every client. As a Cincinnati Family Third Generation contractor, We take pride and a personal responsibility to ensure all clients are satisfied now and for years to come. 1# Cincinnati Roofing Company. Specializing in roof removal & replacement on your home. Senior Citizens Discounts, Military Discounts also extended to family members. Lance Roofing & Siding offers a wide variety of services for residential homes and commercial properties in the Dayton and Cincinnati areas. 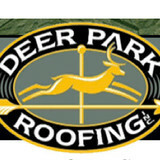 Beginning with a passion for roofing and pride in quality workmanship our family owned company assures that you will be impressed with our dedication and attentiveness to customer service and detail we give to every job. Leading the way with siding installation and repairs, Lance Roofing & Siding Inc. is prepared to meet the needs of a home or business. Top quality cedar, vinyl and cement board siding is our promise, and to back it up we only partner with manufacturers that offer customers extended warranties. We install 5" and 6 " gutters. Let us help your coordinate the right color for you. Call us today! Let us take the stress away from planning your next project. 5 C's is a full service exterior contractor specializing in premium grade shingle and metal roofing. In an industry full of fast talking salespeople who collect your check and toss you off to a "production manager" you may never meet to handle the important part of your project. Our customers benefit from having one person to walk with them from start to finish. Good old fashion customer service is still available and it's available at 5 C's. A1 Complete Remodeling in West Chester, Ohio since 1991 from Roofing to Windows an A+ Rated Member of the Cincinnati B.B.B. Award winning remodeling company featured on HGTV. Serving Mason, Ohio. & Hamilton and Butler Counties in Ohio. American Way Exteriors is a veteran-owned company with a full belief in the American Dream. We deliver exceptional workmanship with premium products, but also focus on outreach and giving back to our community and veterans. Safety and satisfaction are our top concerns, as well as surpassing the expectations of our clients and of the communities we work in. “Like water off a Duck’s back” is our tag-line. Everything we do (Roofs, Siding, Gutters, Windows, & Doors) sheds water. Whether it’s Commercial, Industrial, or Residential. Among our Credentials: Accredited Members of the BBB. A Factor in NARI ~ National Association of Remodeling Industry. “Certified” GAF Roofing Contractor (GAF is North America’s #1 Manufacturer & Seller of Dimensional Shingles) ~ (of well-over more than 500+ contractors in All Greater Cincinnati, Dayton, & Columbus only 26 contractors can boast this certification!). Fully Insured & Federal Workers Compensation surrounds our company & your concerns. We like to say, “we don’t do business” because, “we do community” (We even support Habitat for Humanity with free roofs!) What we are saying is that as we do business with YOU, it’s not a one time shot … We are looking to service All YOUR Xterior needs AND build into YOUR interests, concerns, and community. It’s an honor to serve YOU!!! In a world of choices ~ THANKS FOR CHOOSING DUCKIE Xterior Solutions!! What do roofing companies in Union, OH do? Your Union, OH roofing contractor can install a new roof or repair an old one, as well as repair and replace gutters. Good roofers in Union, OH should be able to promptly inspect roofs and gutters to assess damage after a natural disaster or other event, and give you an estimate for the necessary roof repair immediately. Some Union roofing companies specialize in specific types of roofs, such as tile or metal, so make sure the one you are interested in works with the materials you have or desire. Find a Union roofer on Houzz. Narrow your search in the Professionals section of the website to roofing companies in Union, OH. If you’re planning a large-scale project, find other professionals on Houzz who can help get the job done. Here are some related professionals and vendors to complement the work of roofing & gutters: General Contractors, Specialty Contractors, Siding & Exteriors, Door Sales & Installation, Garage Door Sales & Installation.